Collaborative law is an alternative to the traditional legal model where the parties agree to resolve their dispute without resorting to litigation. That’s right, imagine entering into an agreement to resolve your legal matter in good faith while saving the time and cost of going to court. It sounds very simple, but the collaborative process is quite structured which ensures the path to avoid litigation is adhered to. Collaborative law can be used in many areas of practice, including civil, probate, real estate and family law. Collaborative practice is especially useful for matters that are emotionally charged and revolve around interpersonal relationships. This could be close friends or family members who are having a business dispute, siblings fighting over the assets in their deceased parent’s estate, or parties who are unwinding their marriage. Is Collaborative Law Similar to Mediation? 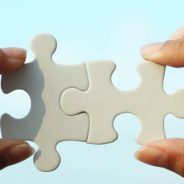 While both mediation and collaborative law fall under the blanket of ADR (Alternative Dispute Resolution), the two practices are very different. Collaborative law allows the parties with their collaboratively trained attorneys to commit at the onset of a case to stay out of litigation by creating a resolution that works for everyone. Mediation differs from collaboration as it employs a neutral third party. The neutral encourages the parties to come to their own resolution, but the matter itself remains under the courts and threat of litigation for any issues that are not resolved during the process. Another differentiating aspect between the two practices is that mediation does not employ any additional professionals necessary to assist the parties in areas related to their matter. For example, this could include a child specialist or property valuator, to name a few. A final difference is mediation will take anywhere between 3-8 hours on one day or at most, several hours spread over a few days while collaborative practice holds as many meetings as necessary that are focused but shorter in length to come to resolution on all issues. The parties first sign an agreement describing the nature and scope of the matter and the duties and responsibilities of each party. The parties must voluntarily disclose all information which is relevant and material to the matter that must be decided. The parties must use good faith efforts in their negotiations to reach a mutually acceptable resolution. Each party must be represented by a Collaboratively trained attorney whose representation terminates upon the undertaking of any contested court hearing or violation of the collaborative agreement. The parties may engage any professional whose expertise is needed during the process. In short, the parties commit to the process, save the money that would otherwise be spent on pleadings, discovery requests/responses, arguing and the like, and the necessary professionals are hired. The parties then split the costs and round table about the issues, along with the trained professionals, to come to a mutually beneficial resolution. 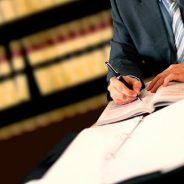 Besides the obvious – avoiding litigation including the time, expense and stress that goes along with that process, collaborative practice provides the individuals the opportunity to be in control and address all facets surrounding the legal issues while coming to “workable-workable” solutions. For example, in a family law matter, the parties may be divorcing but instead of the traditional fight that can last a year or more over how the assets and debts should be divided, the parties are able to agree to have a financial professional review the marital estate, consider the financial future of both parties and come up with a division of the assets. This method not only accomplishes the legal portion of splitting the marital property, but also sets the parties up with a healthy financial posture after the divorce is finalized. Why Haven’t I Heard of Collaborative Law Before Now? If you haven’t heard of collaborative practice, it could be related to your geographical location. Collaborative law was created in the late 1980’s to early 1990’s and has been widely used in the Midwest and on the East Coast and Internationally. While it isn’t commonly used in the Southwest, yet, there are organizations and communities of like-minded professionals who are working to connect with one another and educate in efforts to better serve the client. There is one commonality to all legal matters – one way or another the issues will be resolved. If the decision is made by the courts, then the parties have handed over their power and control over something that is very personal to a system that can never truly know all of the details and has no personal knowledge of the parties. Each case is like a fingerprint and care must be taken for the specifics of each case on an individual basis. This simply cannot be accomplished in the courtroom. That being said, there are certain issues that must go before a judge, but many times court can be avoided. Knowing that, and knowing the cost associated with traditional litigation, individuals should be empowered to be active participants in their matter and consider an alternative to litigation. If you wish to learn more please visit www.collaborativepractice.com. No one wants to think about the aging process, let alone all the dangers associated with advanced age and living in today’s world. Education and planning are the two most important steps to preventing any type of issues in the future. Senior financial abuse scams are a multi-billion dollar industry. This type of abuse not only effects the senior individual, but also their families, their financial institutions, taxpayers and all the services that provide relief to the victims. A study was done in 2011 by MetLife Mature Market Institute and they estimated that the annual financial loss from senior financial abuse was 2.9 billion dollars! That number was based solely on the cases that made it to the media. Seniors are especially susceptible to fraud. This is because we tend to be more trusting as we age, we have more wealth accumulated by that time in our lives, and our worlds become smaller. Generally, Seniors do not have contact with a wide variety of people and become secluded from the outside world. While this is a natural process that comes with age, it also provides opportunity for those who mean to cause us harm. All seniors are at risk for being targeted, but women account for the majority of these types of crimes. I am not convinced this will always be the trend but for now it is. That is due to the fact that women live longer than men, leaving them alone when their spouse passes, and elderly women in 2017 are from a generation where they are used to relying upon others in their lives to help them make important decisions. What Are The Common Types of Abuse? The perpetrators are not so easy to spot. They come dressed as your family member, friend, neighbor and people working in a professional atmosphere with ready-made deals, and ideas on how to invest money. When someone approaches an elderly person regarding: reviewing an estate plan, reverse mortgages, annuities, or any other product that would effect the individual’s financial portfolio – beware! If something needs to be changed, either a trusted advisor who you have been working with for years will bring it to your attention during the course of a regular review or you will be the one reaching out to the professional. Not the other way around. As a rule of thumb, if someone calls you, walk away. That includes your family members. If the family is urging you to do something, get at least three professional opinions before making any decisions. Unfortunately, we cannot simply trust anymore so we have to be cautious. Especially as we age. What Can I Do to Prevent This From Happening to Me? The only real way to help prevent this type of abuse is to have a revocable living trust created, and be very thorough regarding your wishes. That is what is so beautiful about creating your plan; you have control throughout every stage of your life. This process is critical to accomplish properly, otherwise you won’t be doing yourself any favors in the future. Do not create a plan online. There are too many chances to get it wrong, then you spend even more money when you have to hire an attorney to fix the one you created yourself or have to start from scratch anyways. Do not create a plan with a company who offers estate plans as a gimmick to sell you insurance, annuities, or other “financial resources.” An insurance agent or a financial planner will contact you offering an estate plan but really they just want to profile you and gain access to your financial information so they can help you reinvest your money in all the products they offer. The fee for the plan will be nominal but remember, you get what you pay for. Also, if you never have contact with the attorney the company claims is drafting your estate plan – RUN. Carefully choose your estate-planning attorney. You are looking for someone who is not only knowledgeable, but wants a client for life, not just for the estate plan. Anyone who knows estate planning understands the plan evolves and you need someone who can be a resource for you throughout your lifetime as well as a resource for your family without being nickel and dimed every step of the way. This is a professional who will instruct your relatives as to the details of your plan when you may not have the capacity to do so anymore. Carefully choose your financial and medical power of attorneys. When you make the right decision, you can have the peace of mind that this person is trustworthy and will care for you how you specified. There are different profiles for each type of power of attorney and this should be discussed during the planning stages with your estate planning attorney. There are also alternatives if you do not have someone in your life who you would trust to handle your money or make medical decisions for you. Carefully choose your successor trustee. Similar to the power of attorneys, this person must be held to a high standard so you can rely that your plan is working for you. APS programs are comprised of state and local agencies that investigate reports of abuse, neglect and financial exploitation of older persons and adults with disabilities. Contacting an attorney regarding elder abuse is the best plan, but most people do not have the resources to go to court. Regardless, you still may want to speak with an elder law attorney to better understand your options and the process and most elder abuse attorneys do not charge for the initial consultation. Platt & Westby, P.C. has a team of experienced attorneys who can talk with you about your options and are happy to consult without charge. You can reach us online at www.plattwestby.com, or by phone 602.277.4441. If you would like to speak with me directly I am at extension 243. Consumer Financial Protection Bureau consumerfinance.gov – This government agency assists consumers by ensuring they get information they need to make good financial decisions. Federal Trade Commission ftc.gov – This government agency protects consumers from business practices that are unfair, deceptive, and fraudulent. Postal Inspection Service https://postalinspectors.uspis.gov – Investigates frauds using the US Mail. The Securities and Exchange Commission investor.gov – This government agency investigates securities fraud. S. Administration on Aging www.eldercare.gov 1800-677-1116 – This government agency helps with finding trustworthy local support resources for seniors. Remember to educate the people you care about and to get your plan in place. Elizabeth Westby 602-277-4441 x 243 ewestby@plattwestby.com. Choosing your attorney carefully is important. This choice should be based on several factors when interviewing, including: picking someone you like, who understands you and listens to you, who you can work well with, and someone knowledgeable about the particulars of your matter. After signing the agreement, most clients hand the case off to the attorney and hope for the best. Today’s discussion is on strategies that are instrumental in getting the most out of your counsel. Telling the Truth: This is the very most important component in your relationship with your counsel. The attorney must know everything in order to best represent you properly. Even if the information is embarrassing, or you are ashamed of something you did, or it was a long time ago, you must tell your attorney. Why? Because this is exactly the type of information that can and inevitably will come back to haunt you and can destroy your case. An attorney bases their legal arguments on the facts you provide them. If the attorney has only a portion of the facts, then the legal theories will not hold and the attorney cannot perform as they could have if they were given all of the information up front. Additionally, the attorney/client relationship is built on trust. Trust goes both ways. If you lie, or choose to leave out information, that can hurt your relationship. You want your attorney to want to assist you, so keep them happy by being honest. Being a Teammate: When you hire, you and your attorney are a team. Throughout your representation the attorney will have a variety of requests for you. Some common examples include: providing evidence, being ready to discuss your case, and showing up to court on time. Whatever the request may be, you must comply promptly and thoroughly. If you delay in providing your attorney with their requests, it could have horrible consequences on your case. Furthermore, delaying your attorney’s work schedule is extremely disrespectful and inconsiderate of their time. The last thing you want to do is make your attorney resentful of you and end up withdrawing from your case because they cannot rely on you or feel disrespected. Adhering to your Agreement: When you hire an attorney you enter into an agreement, or contract. That contract will state the terms of your relationship including the work that is to be performed and the fees you are agreeing to pay for those services. To put it simply, you must pay your attorney for their work. You agreed to do so in writing, and failing to do so places you in danger of: having your attorney withdraw from your case, being sent to collections, incurring interest and more. Think of it this way, when you buy a car, you know you need to keep gas in it to keep it running. Same with your attorney, you must pay them according to the terms of your agreement in order for them to continue working on your case. If your attorney withdraws because you stopped paying them, you will have to go hire another attorney to finish the case anyways. That new attorney is going to require a retainer then have to spend hours getting caught up on the case. You might as well stay current with your original attorney and save yourself the money that it will take for the new attorney to get going on your case. Taking the Advice: You hired a professional and paid them good money so please take the advice they give you to prevent further damage and get you out of the legal process. While the attorney has the legal knowledge to assist, there is only so much they can do without the aid of the client. Knowing your duties and what is needed to ensure a healthy working relationship is paramount to getting your money’s worth. Stepparents Supporting Stepchildren – Is There a Duty? Combined families are the new norm. 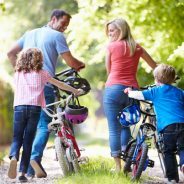 Maybe the notion is not new, but the once-called “traditional family” consisting of a married couple living with their own children is becoming obsolete. The traditional family certainly is the minority in the year 2016. With the changes to the family unit, the law also evolves as our laws are intended to protect and support. Most everyone is familiar with the idea that if you have a child, naturally or by adoption, you are responsible for supporting that child at least until they reach the age of majority. The rule gets blurry, however, when stepchildren are involved. For healthy development, a child requires emotional support just as much as financial support. Today, we will be looking at the laws in Arizona regarding the financial support of stepchildren and the duty stepparents are held to regarding support. For purposes of our discussion today, a stepparent is defined as the relationship formed when an individual marries the custodial parent of a minor child and resides with the child. Under common law, a stepparent has no duty to financially support a stepchild while married to the child’s natural parent. Grubb v. Sterrett, 315 F. Supp. 900 (D. Ind. ), aff’d, 400 U.S. 922 (1970). Natural or adoptive parents owe a duty to support their children. This duty cannot be displaced by the custodial parent’s re-marriage or by the cohabitation of that parent with another person. A.R.S. §12-2451(A); Barrett v. Barrett, 44 Ariz. 509, 39 P.2d 621 (1934). Twenty states have enacted statutes that impose a duty for stepparents to support a stepchild. While this may seem unfair, or wonderful depending on your circumstances, it is nothing more than codification of the in loco parentis doctrine that is already the law across every state. Arizona has not adopted a statute but follows the in loco parentis doctrine. The doctrine states that if a stepparent takes stepchildren into his or her family or under his or her care in such a way that he or she places himself or herself in the place of a natural parent, he or she assumes an obligation to support the child and acquires a correlative right to their services. Harris v. Lyon, 16 Ariz. 1 (1914). In determining whether in loco parentis exists, the courts look at intent. In actuality, the simple act of taking a child into one’s home after marrying their natural parent establishes the intent necessary for in loco parentis. In short, it is extremely difficult to prove one did not intend to act as a parent in that scenario. The relationship is terminable by the stepparent or the stepchild and would require the stepchild not living with the stepparent. Is There a Way to Be Reimbursed for Supporting My Stepchildren? In Arizona, the court found that a stepfather has a right for reimbursement of child-related expenses from the years that the natural father did not support his natural child. The case specifically states, “[I]f a natural parent abdicates his or her parental duties and another individual financially supports the child, the law implies a promise by the irresponsible natural parent to reimburse the individual responsible for providing necessaries to the child.” Anonymous Wife v. Anonymous Husband, 739 P.2d 794 (Ariz. 1987). Of course in order to make this type of claim for relief you will need: 1. The other natural parent must not be providing any support, and 2. Proof of expenses. Most people do not keep a running tally with receipts as proof of payments but if there is a “deadbeat” parent on the other side, it might not be a bad idea. I am a Stepparent, But Considering Divorce. Interestingly enough, because the law does not impose a duty to support the stepchild outside of in loco parentis, if this relationship has not been established during a marriage (never lived together for example), a stepparent may argue upon divorce that any support provided during the marriage to a stepchild was a drain on marital resources. If properly shown, the stepparent can be entitled to a larger share of the equitable award. In other good news, a stepparent cannot be held accountable for a child support award in a divorce from the natural parent even if in loco parentis existed. The only time a stepparent would be ordered child support for a stepchild is if he or she represented to the child that he or she was the natural parent. If that scenario exists, child support may be found under the doctrine of Equitable Estoppel. The Family Court is a court of equity. Equity is focused on “fairness.” One cannot claim to be a child’s natural parent, act as their natural parent, tell the child one is their natural parent then turn around in a divorce and opt out of responsibility to that child and their development. Regardless of a duty, most people provide support without hesitation because that is what you “sign up for” when you marry someone with children. However, with so many families being comprised of stepchildren and stepparents, it creates the potential for issues regarding support to arise. No matter your state, the health and welfare of a child is the priority. Claims should not be brought out of malice or contempt for another parent but only to protect and assist in raising a healthy child. For more information, please contact Elizabeth Westby at 602.686.6375 or email eawestby@westbylaw.com.